Shown above: On 2015-12-08, Google said the site may be comrpomised. Shown above: Turns out it was! See above for start of injected script in page from comrpomised website. 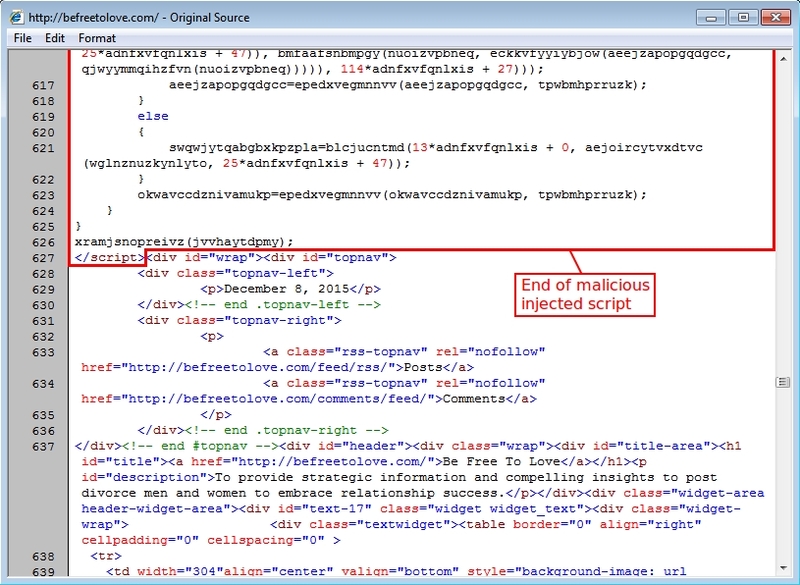 Shown above: End of injected script in page from comrpomised website. 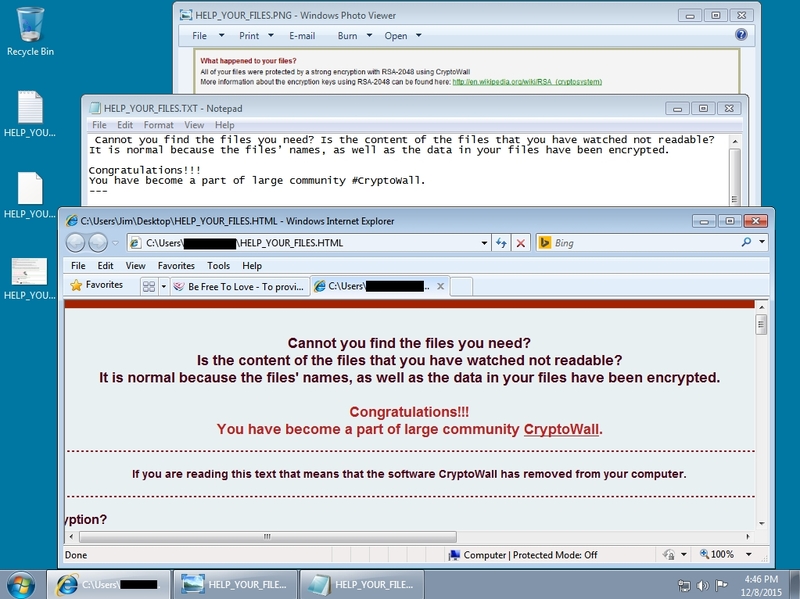 Shown above: Windows desktop minutes after the malware payload (CryptoWall) was delivered.